Independent dressing requires know how. We have to know how to tell outside from inside, front from back, how to get in and out of our clothes safely and without damaging them, and how to fasten fasteners. 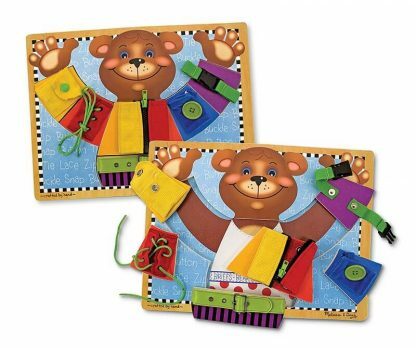 This dressing clothes puzzle provides an entertaining way for children to learn to zip, buckle, snap, button, lace, and tie. 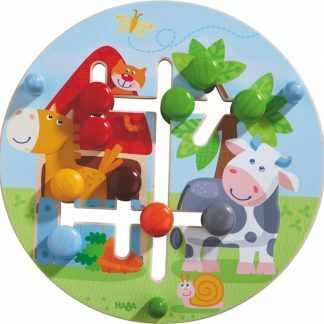 Putting the pieces of the puzzle together further enhances eye-hand coordination and fine motor skills used in dressing. Teddy looks happy, ready, and waiting to help children master the basic skills of successful dressing. 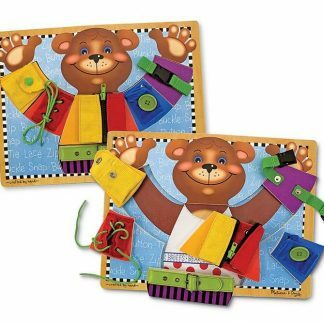 Getting dressed isn’t such a puzzle once a child learns to zip, buckle, snap, button, lace, and tie with this Melissa and Doug skills board. 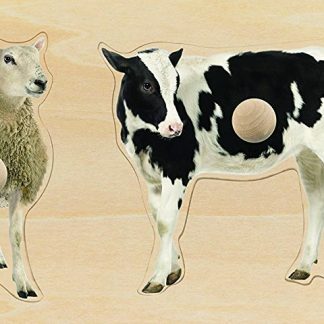 Each skill is contained on a separate, wooden puzzle piece for easy practice. 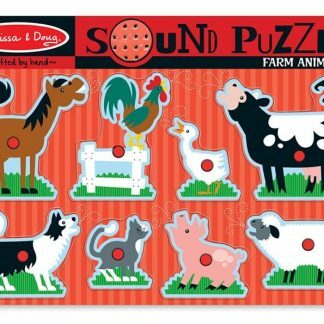 Puzzle pieces in the arms are interchangeable, expanding learning opportunities as child arranges and re-arranges pieces. 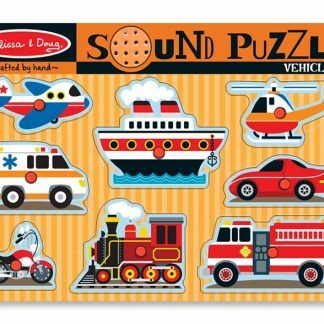 Measures 16″L x 12″W. 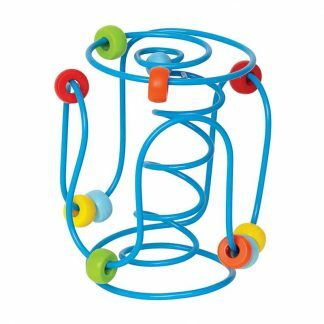 Develops spatial awareness, eye-hand coordination, and fine motor skills.